There’s just something about a hot oil treatment that is so soothing. I remember there was a time when hot oil treatments were an absolute must for me! I actually looked forward to them and trust me when I tell you, these treatments did wonders for my hair; leaving it manageable and full of luster. For some reason, I can’t even remember the last time I had a hot oil-treatment. In the process of thinking about my next hair-style, I realized I had given up something vital to hair length retention and strength. With that being said, tonight I’ll be revisiting the hot oil-treatment life and making sure to stay consistent. Check out the list of oils you can use for hot oil treatments and their benefits. You’ll find that some oils may work for you better than others or you may even have to mix some oils to find the perfect fit. 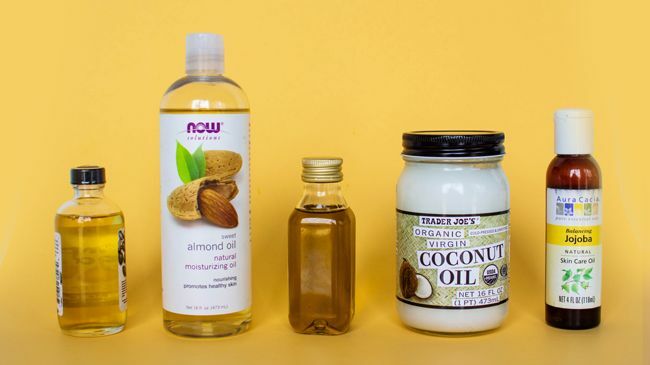 Coconut oil is one of my favorites oils, hands down! Not only does it promote healthy growth, it also softens and conditions hair. Olive oil is a little on the heavy side and not one of my favorites, but it may work for you! It contains vitamin A, vitamin E, and helps you retain moisture. Avocado oil is great especially if your hair is dry, since it is super lubricating and helps your hair retain much needed moisture. I have yet to try almond oil , however, I will be trying it soon. It nourishes hair while conditioning and promoting growth. Avoid using the microwave (for anything honestly, especially your food). Instead bring a pot of water to boil, place the oil of your choice in a heat-safe bowl or glass container, then place the container in the pot of hot water for about two minutes. Make sure to test the oil on your wrist prior to applying it to your scalp. Apply the oil to your scalp when safe and massage. Cover head with shower cap, plastic cap, or plastic bag. Allow oil to sit in your hair for thirty minutes or even overnight. Your hair will thank you! What's your favorite hot oil treatment? This article was written by Chelsea Satine of BlackNaps.org and published on CurlyNikki.